How Freud's Theories Were Evolved By Jacques Lacan | What is Psychology? The catalyst in Freud’s founding of psychoanalysis came in his treatment of patients suffering from hysteria. After forming his private practice in 1886, Freud used hypnosis on his patients to try to find the underlying cause of their mental issues. [showmyads]After hearing about the work his mentor Dr. Josef Breuer had carried out with a patient known as Anna O, whose symptoms had been reduced simply by discussing her problems, Freud concluded that allowing patients to talk freely about whatever occurred to them could unveil repressed thoughts and memories. Through his use of this method, Freud theorised that patients’ dreams could also be analysed for an insight into their unconscious mind, and that repressed childhood sexual fantasies were often the cause of mental illness later in life. Freud’s work influenced several other figures in psychoanalytic theory. One of these was Jacques Lacan, a French psychiatrist who was known for his seminars in the 1950’s urging a “return to Freud” in psychoanalysis at the time, and for evolving and expanding on many Freudian theories. Similarly to Freud, Lacan believed in the importance of the unconscious in revealing the repressed thoughts of patients. 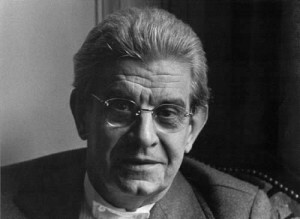 However, Lacan placed a great deal of emphasis on the role of linguistics in psychoanalysis, a topic which Freud had only briefly commented on. Lacan believed that the unconscious was structured like a language, and that the complex nature of linguistics made it difficult for those who had suffered a severe trauma to truly return to their mental state as it was before the traumatic event. He also stressed the role of language in inhibiting the expression of meaning, and believed Freud’s “talking cure” relied on the ability of the psychoanalyst to reveal the hidden message of a symptom described by the patient. Lacan also built on Freud’s theories of child development in relation to the id, ego and superego, or the components of personality which are responsible for shaping human behaviour. Lacan introduced the concept of the mirror stage, where a young child learns to identify with their own reflection. This identification results in the formation of the ego which Freud discussed. The ego works as a mechanism to allow the child to deal with reality, and according to Lacan, resolves the conflict felt by the child on seeing their image as a whole while feeling that their body is fragmented due to limited mobility. 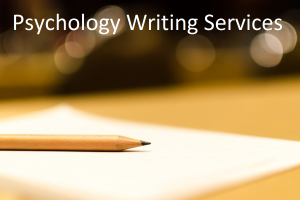 This article was written by Nick Davison of Psychoanalysislondon.org.uk, a group of Lacanian Psychoanalysts in London who provide means assessed psychoanalytical therapy.